THE FARMER'S DAUGHTER FIG AND HABANERO HOT PEPPER JELLY from PRIMO'S PEPPERS.. Kara Primo has created a delicious tasty treat that has a world of uses. From spreading on toast or a bagel with cream cheese, to using it as a marinade for chicken, pork and more. 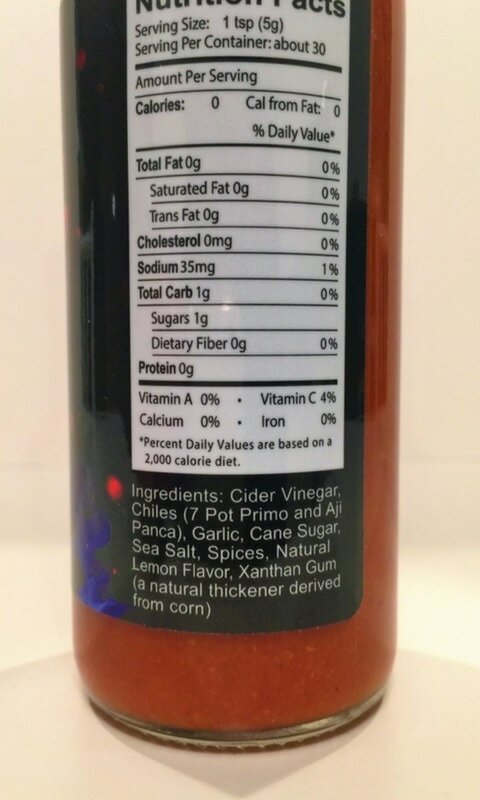 You will also find that this jelly makes some amazing sweet and spicy hot wings that will blow your mind! The sweet full flavor comes from figs, apple cider vinegar, lemon juice, sugar, spices and habanero peppers. It's like eating a spicy apple with a hint of cinnamon and caramel. After trying this fig and habanero pepper jam, I can see why it took First Place in the Peoples Choice Award for Best Condiment at the 2017 Zest Fest! This is a must try!! SWAMPADELIC SAUCE from PRIMO'S PEPPERS.. If you like a super hot sauce with lots of southern spice flavor, here it is. The flavor of this sauce is very rich in pepper and Cajun spices. I also get a hint of black pepper, which I just love. This is the first time I have tried the 7 POT PRIMO and AJI PANCA peppers in a sauce and the mix of these two peppers make a great medley of heat and taste. This would be great on poultry and sea food. 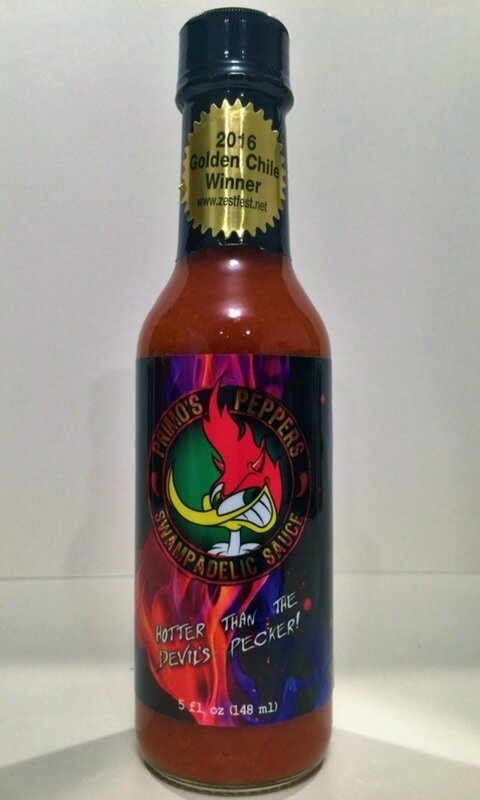 Mixed into your favorite BBQ sauce, ketchup or ranch dressing for people that like the great flavor but can't handle the heat. The heat lingers long and is very hot, but I was surprised how the great taste last through all that heat. Be brave and give this one a try.